Most cats have plenty of energy to spare. If you notice that your car isn’t being as energetic as usual, then it may mean that something is wrong with him. Feline lethargy is characterized by general listlessness and inactivity, with some not responding to lights or sounds like usual. It can be brought on by various health conditions. The following are some of the most common causes. The cardiovascular system is comprised of the heart and blood vessels. It’s responsible for moving blood to different areas of the body. Things like heart failure can easily cause lethargy in cats. Issues with the blood itself like anemia may cause it as well. Without oxygen, your cat will die. If he’s not getting enough for some reason, then he obviously won’t be feeling like himself. That’s why cats suffering from various respiratory conditions can become lethargic. There are many different diseases that require cats to take medications. Although they may effectively get rid of the problem, they may cause certain side effects in the process. Feline lethargy is a common side effect for medications like chemotherapy. Speaking of chemotherapy, it should go without saying that cancer is a very serious disease. Even without chemotherapy treatment, the disease itself can cause lethargy. Gastrointestinal disorders typically cause vomiting and diarrhea. However, some of them can also cause lethargy in cats. Feline that have problems with their urinary tract may experience problems with inactivity too. Your cat’s skeletal system allows him to move around freely. Therefore, skeletal problems or diseases will likely prompt your cat to become much less active than normal. One of the most common skeletal issues that leads to lethargy is arthritis, something that elderly cats have to deal with very frequently. Physical trauma like being hit by a car can also cause issues. Cat lethargy is usually nothing to take lightly. It’s best that you take your cat to a veterinarian as soon as possible to see what’s wrong. Since there are so many things that can cause lethargy in felines, a number of tests will need to be run. Some of these include a urinalysis, stool exam, complete blood count, or x-ray. Nothing really can be done about feline lethargy unless the underlying cause can be identified. Then, a treatment plan can be made accordingly. It’s always important to pay attention to your cat. 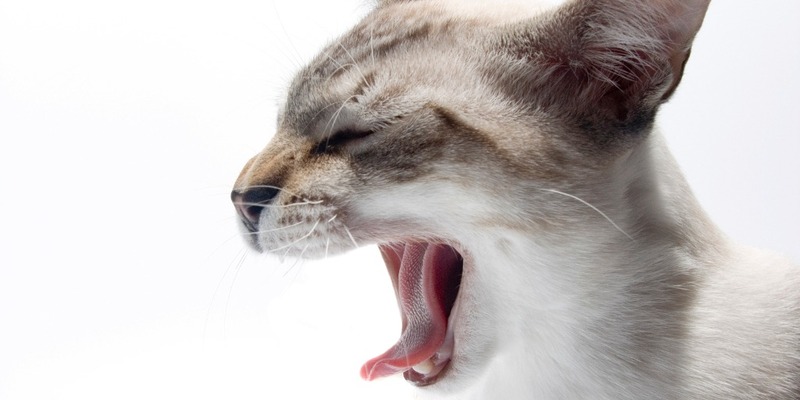 Feline lethargy is a clear signal that something is wrong and your cat needs to be checked out. There are many different diseases in cats that can cause lethargy. One of them is arthritis in cats as you have already learned. Stop by common-cat-diseases.com today to learn about many other conditions that can cause problems for your feline.